A full-length play and a screenplay. 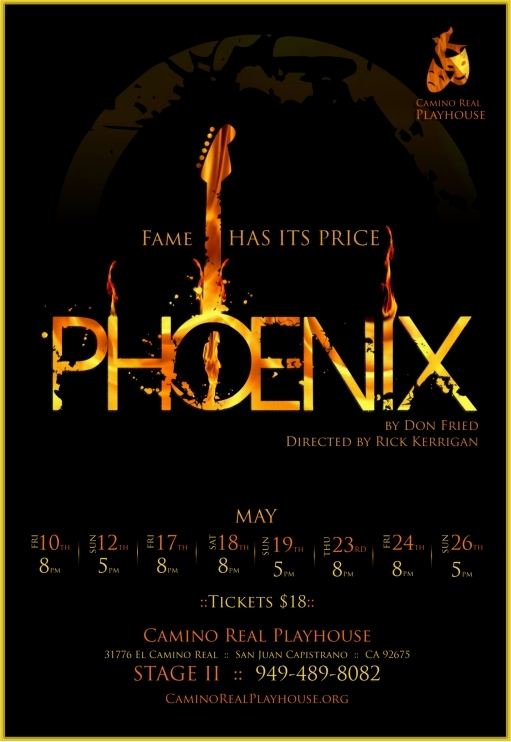 Phoenix is a fictional play and a screenplay, inspired by the life, death, and rise to fame after death of tragic British singer/songwriter Nick Drake. It was commissioned by Second Skin Theatre Company of London, England. The play premiered at the Camino Real Playhouse, in San Juan Capistrano, California, in May, 2013. It’s scheduled to be produced by Second Skin Theatre of London, who commissioned the writing of the play, at the Phoenix Artists Club in London’s West End, in February, 2015. 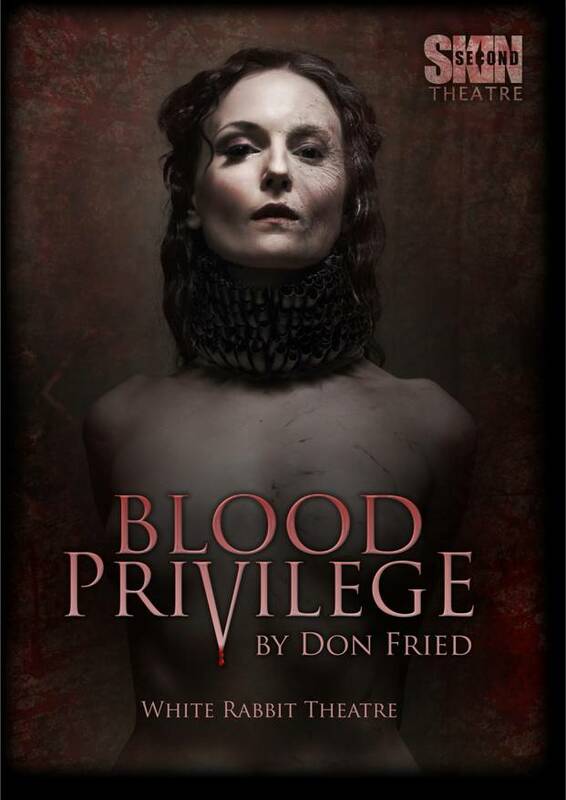 Blood Privilege is inspired by the life of Hungarian countess, Elizabeth Bathory, who sexually tortured and murdered over 600 young women in the early 1600s and who is one of the inspirations of the vampire myths. But although the play is a period piece set at the turn of the 17th century, what it’s really about is the current global crisis resulting from the consolidation of wealth and power in the hands of a tiny number of people. 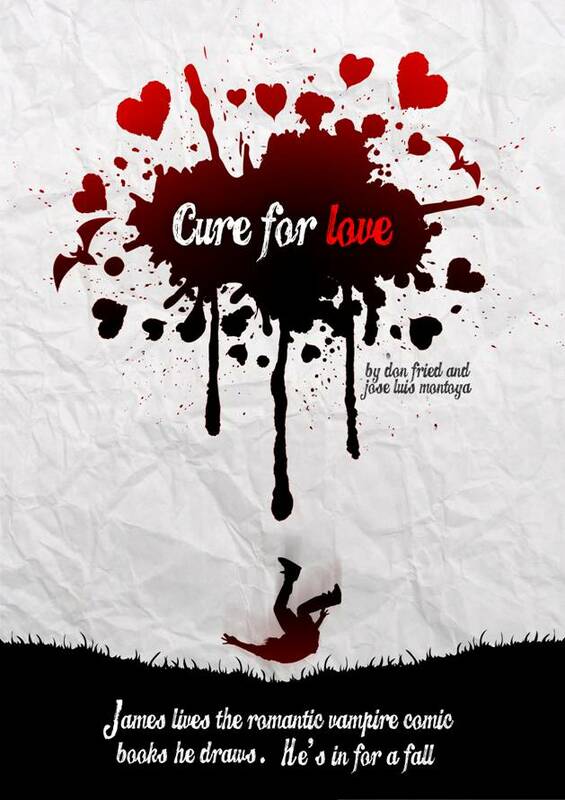 Writing of the play was commissioned by Second Skin Theatre Company of London, England. Productions. It was produced at the Richmond Shepard Theatre in New York City in February, 2013, and at the White Rabbit Cocktail Club in London in March, 2013, where it broke the theater’s box office record. William’s career as a writer of macho detective fiction has taken a downturn. He’s in a rut and tastes are turning toward sensitive romantic works, ala Nicholas Sparks. So he decides to write a romance novel, but his habits are all wrong; every time he sits down at the computer, what he’s writing turns into — well, macho detective fiction. When he’s drafted into a training program for a Harlequin Romance-like publisher, things seem to be heading in the right direction. But his long-time collaborators, fictional characters Manley Stone and Vera, refuse to be controlled. Bodice Ripper is a comic romp about living with the rules. What happens when they change or when what you thought you knew about them wasn’t right to begin with? 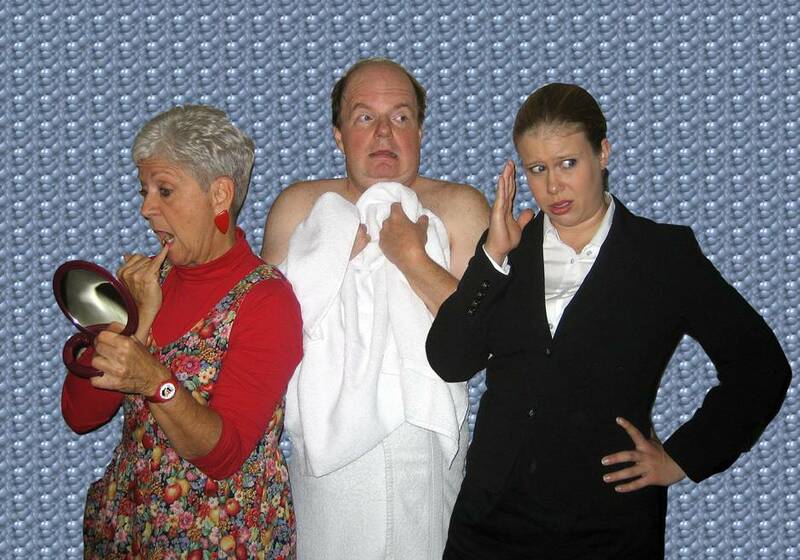 Bodice Ripper was presented by Coal Creek Theater of Louisville (Colorado) in 2013 and Camino Real Playhouse in San Juan Capistrano, Orange County, California in 2015. Prior to the play’s first production, it received an Addison Grant from the Boulder County Arts Alliance for a public reading that was held at the Theater Company of Lafayette, Colorado in April, 2011. Michael is a senior citizen in a sheltered independent living facility. Betta is a virtual computerized assistant assigned to him against his wishes by the administration of the facility. After a brief period of conflict, Michael and Betta reach a truce and settle down to live together. But when Betta’s programmer, Crystal, arrives it becomes clear that she’s no more in control of Betta than Michael is. With constant upgrades to Betta’s technology, the situation spins increasingly out of control. Getting Betta premiered simultaneously at the Theater Company of Lafayette (Colorado) and at the Camino Real Playhouse in San Juan Capistrano, California in March, 2011. It was subsequently presented in Austin, Texas by Paradox Players in January, 2012 and by DaDo Productions in March, 2012. When members of a sect of Hasidic Jews arrive in a struggling Midwestern town to re-open the closed meat packing plant as a kosher facility, the townspeople think that their economic troubles have ended. But the result is an epic cultural clash that turns the American melting pot into a pressure cooker that eventually explodes – figuratively and literally. 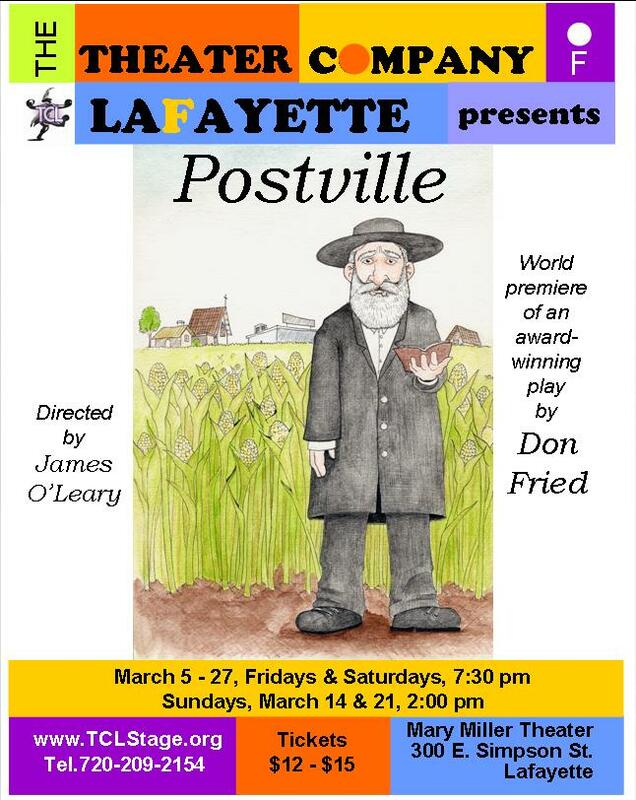 Postville is a fictional account, inspired by actual events in the northeast Iowa town. Postville had three public readings in 2009, including as one of the contest selections of the Playwrights Showcase of the Western Region. The play was produced at the Theater Company of Lafayette in March, 2010. 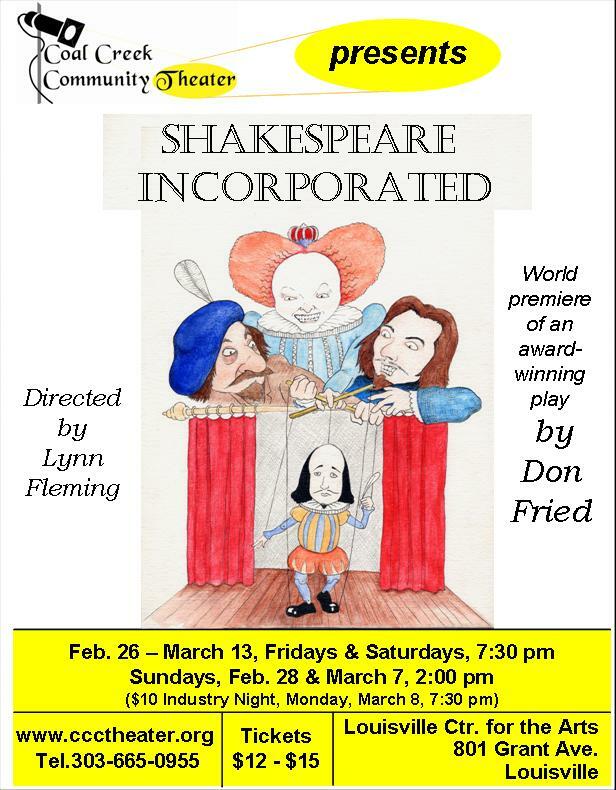 Shakespeare Incorporated won first prize in the full-length play category of the 2009 Rocky Mountain Theatre Association Festival Playwriting Competition. The competition was open to playwrights from Colorado, Utah, Wyoming, Idaho and Montana. Shakespeare Incorporated was also been selected as one of the winners of the Paragon Theater’s Trench New Play Development Competition, and had a public reading at the Crossroads Theater in Denver in November, 2009. 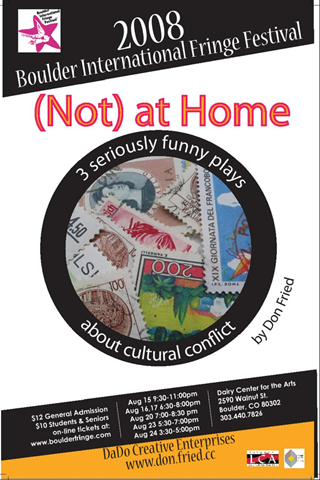 The play was produced in March, 2010, by Coal Creek Community Theater in Louisville, Colorado and Second Skin Theatre Company in London, England, and in August, 2011 at the Camino Real Playhouse in San Juan Capistrano, California. Five funny, touching and slightly naughty short plays about people living in senior residences. Senior Moments is also a screenplay, which has been optioned by Eden Rock Media of Hollywood. 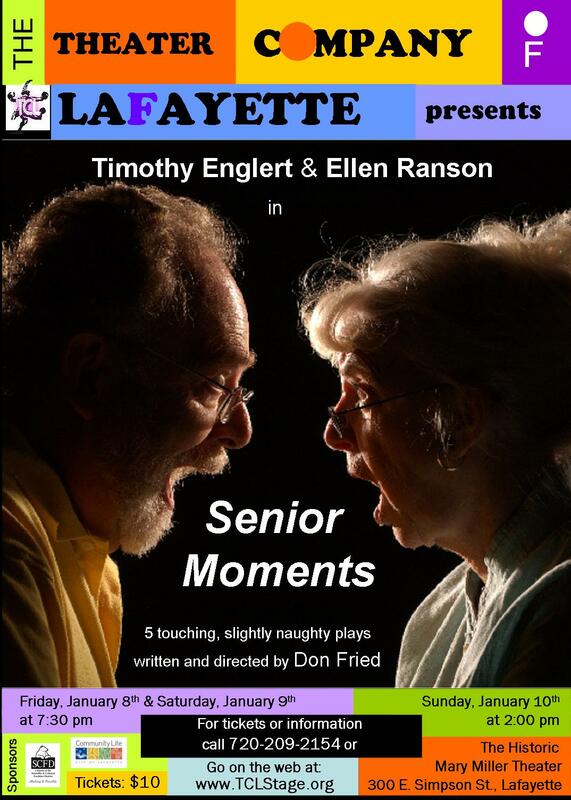 Senior Moments premiered January 8th, 2010 at the Theater Company of Lafayette, and has since been produced more than 30 times in the U.S. and Canada. It was being published in 2011 by ArtAge Publications, and has been their best seller for the past 2 years. 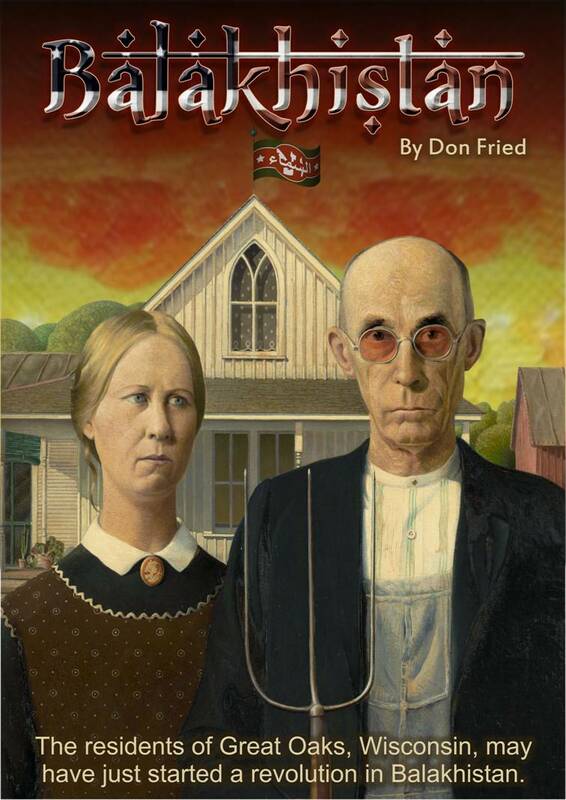 “The Code,” the first play in the series, won first prize in the 2009 Front Range Playwrights’ Showcase at Coal Creek Community Theater in Louisville, CO. Altogether, Senior Moments has won 5 playwriting and Best Actor prizes. A full-length screenplay, written with Mike Fuhrmann. 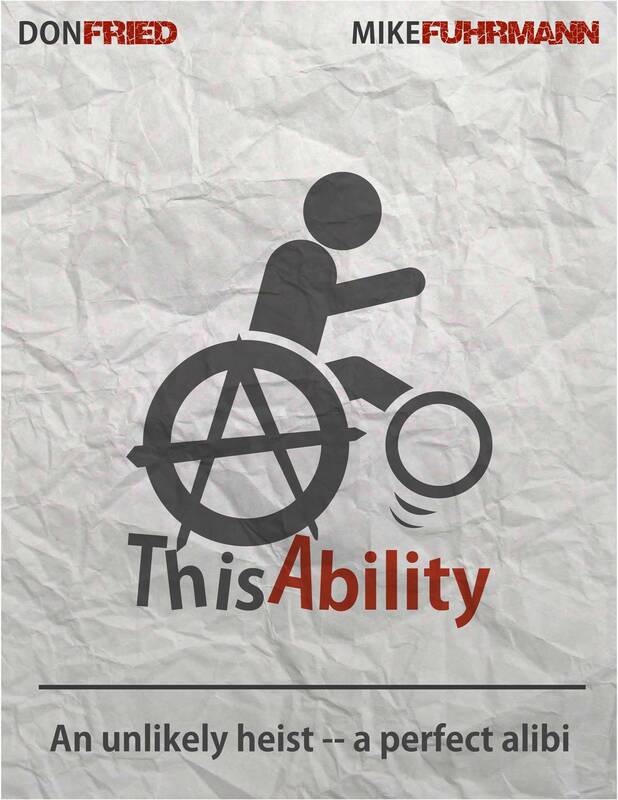 ThisAbility took 2nd Prize in Reel Writers Screenwriting Competition. A zany full-length comedy that addresses the eternal problem of what to do with presents from friends and family that you absolutely hate. Present Future was presented in 12 performances at the California Actors Theatre (CAT) in Longmont, Colorado in spring, 2008. A murder/mystery comedy about a frustrated playwright who starts to play dirty tricks on the cast and crew of his latest production. Red Herring was produced by the Theatre Company of Lafayette (Colorado) in June, 2009. Two students from the Muse Academy compete to inspire a formerly world-renowned, but currently idea-challenged comic actor and screenwriter. The winner goes on to fame and fortune, and the loser will be recycled into muse juice. The Americanized residents of a forgotten training camp for spies in a former Soviet SSR make a comfortable living as Internet scammers, until the secret police begin to suspect that one of them is the anonymous leader of the country’s revolution. A full-length screenplay, written with Jose Luis Montoya. A hopelessly romantic vampire comic-book artist is repeatedly and painfully rejected in love. His best friend slips him a drug that prevents him from forming any emotional attachments, but his life begins to mirror the plots of his comic books. 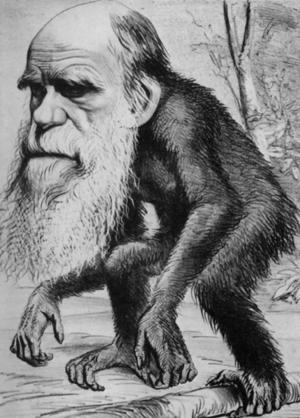 Charles Darwin’s “Bulldog,” Thomas Huxley, comes to visit the great scientist at his home outside London, to tell him about the famous Oxford Debate of 1860 on natural selection. The debate between the two of them turns out to be just as heated. The Debate was presented in February 2009 in the “Lincoln/Darwin Festival” at the Theatre Company of Lafayette (Colorado). Happy Town, Happy People, a humorous account of the breakdown in society in a small Eastern European country 10 years after the fall of the Iron Curtain. An Un-American Tale, which deals with the cultural isolation of people who are born and grow up outside of their parents’ homelands. The Ambassador, in which an American gets into a taxi in Milan and has an epic verbal battle with the driver, although neither speaks the other’s language. (Not) At Home was presented at the Boulder International Fringe Festival, August 15th – 24th, 2008. The production was awarded an Addison Mini-grant from the Boulder County Arts Alliance. What appears to be a performance of a melodramatic play turns out to be a play within a play. Which is within another play. And then a woman claiming to be Edward Albee and to have written the plays shows up demanding that the performance be shut down because unauthorized changes have been made to the script. Of course she’s not really Edward Albee, and Edward Albee didn’t write the plays. It’s all part of a fawning attempt by the real playwright to impress the selection committee of the Pulitzer Prize for drama. “Waiting for Pulitzer” was a semi-finalist in Eden Prairie Players (Minnesota) and Little Fish Theater (California) one-act play competitions. It has not been nominated for the Pulitzer Prize for Drama and is not likely to be. The principal of young J. Edgar Hoover’s elementary school comes to speak to his mother. At age 12, Johnny is showing signs of the man he is to become. “Young Mr. Hoover” was presented as part of Theater Company of Lafayette’s G-Men in G-Strings: The J. Edgar Hoover Follies in July-August, 2010. The scripts of G-Men in G-Strings are published by Heuer Publishing. 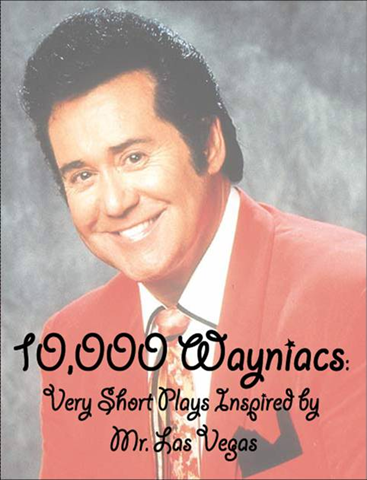 A 3 minute play in which a down-on-his-luck Wayne Newton tries to get a job as a Wayne Newton impersonator. The booking agent insists on casting him as Elvis or Celine Dion. Tough Town was presented in July 2008 in the “10,000 Wayniacs” production at the Theatre Company of Lafayette (Colorado). 3 Responses to "The Plays"